Mark Hughes will not be returning to Cardiff City on Saturday after he was sacked as Southampton manager after just eight months in charge. The ex-Wales international and manager was due to lead the Saints in a vital battle near the foot of the Premier League until his reign was ended on Monday. 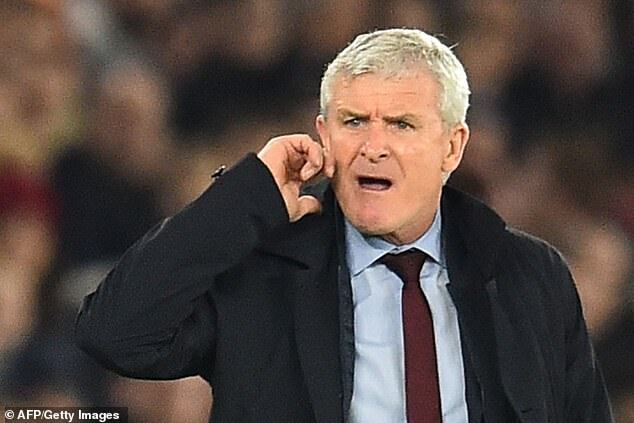 Southampton have put first-team assistant coach Kelvin Davies in charge for Wednesday’s trip to Tottenham Hotspur and he is likely to manage the team against the Bluebirds if a replacement has not been found. The Saints, who drew with Manchester United in the Premier League on Saturday, are 18th in the table with nine points – two points behind 16th placed City. “The search for a new manager to take the club forward is already under way,” said Southampton in a statement. Hughes, who also played for the south club club during his career, took over in March with Southampton then one point above the relegation zone. The 55-year-old led them to safety after they won two of their last four games. But they have struggled this season and following Saturday’s 2-2 draw with Manchester United when they let a two goal lead slip the axe has come. Hughes has gone along with regular back-room staffers assistant first-team manager Mark Bowen and coach Eddie Niedzwiecki have also left the club.